Nicely done. 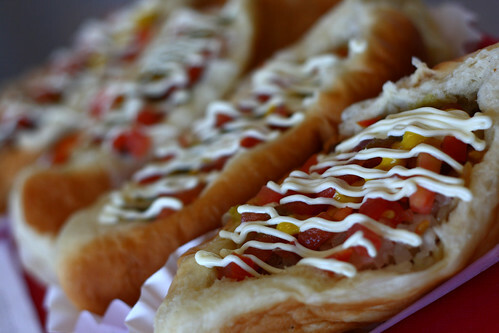 I love a good Sonoran dog, those were one of the many joys of my work trips to Yuma. 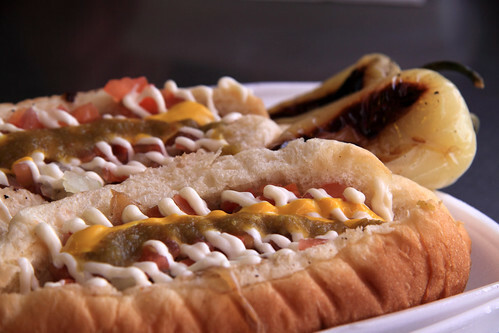 Also, if you ever find yourself mid-day on Highway 238 between Maricopa and Gila Bend, in the middle of nowhere (Mobile, AZ) is a woman who runs a hot dog cart. Bizarre (she apparently sells to people at the nearby railyard, otherwise, it’s a good 30 minute drive to anywhere), but really good hot dogs.